The Aix Island (le d Aix in French) is a small pedestrian island in the Atlantic Ocean. 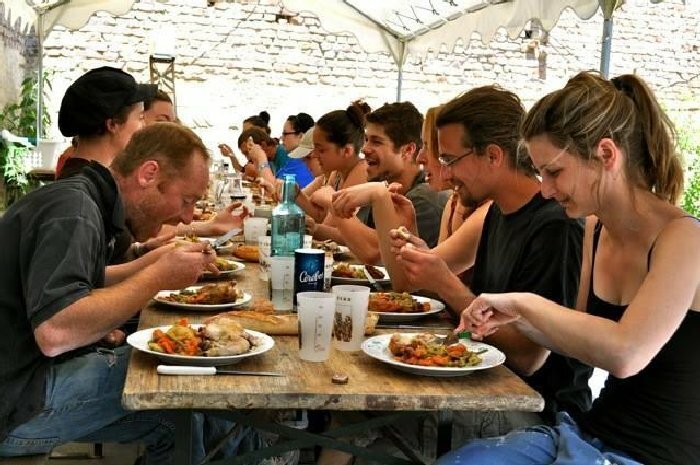 For several years, le d Aix has hosted international workcamps as part of the restoration of Fort Lidot, in partnership with the Conservatoire du Littoral (the French coastal protection agency). This year, you will work on the restoration of the large west stone shooting site, which faces the Lidot Fort. The work will consist in de-vegetating the site in order to start traditional masonry work on rubble walls. You will also have to replace the stones, to jut in and join with hydraulic lime. In collective rooms in a hosting centre near the Fort Lidot. Meals will be prepared by kitchen teams, in turns.